Information about your favorite shows. Trivia, Pictures, Posters and many ,more... All TV episodes on DVD are all here, from drama,action to comedy. 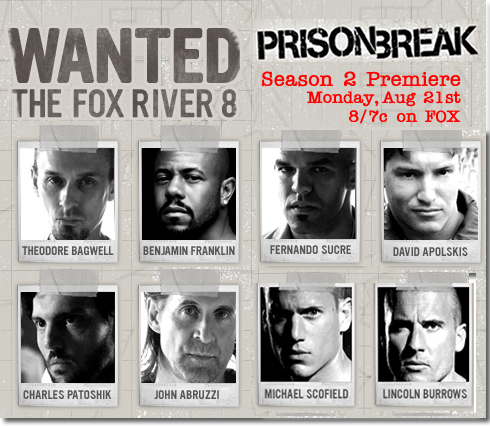 Summary: On August 29, 2005 Prison break was born, The tv series involves on the two brothers. Lincoln Burrows is on death row for the murder of the vice president's brother. He insists he's innocent and only his brother Michael Scofield believes him. As an engineer who helped design the prison where Lincoln is being held, Michael takes drastic measures to help his brother. To get inside the prison he get himself arrested so that he can help his brother escape. 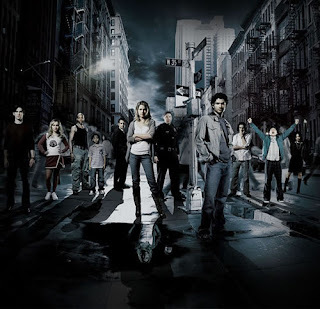 heroes tv show is more villians, meaning their will be 12 sylars, according on the net season three will be opening with a two-hour special episode on monday, September 22, 2008. here are some trailers on heroes 3.